The battle over boosting the minimum wage in Los Angeles has turned to the dollar bills tucked under an empty coffee cup, the spare change dropped into tip jars and the hasty calculations jotted down on meal tabs. As L.A. leaders weigh raising wages for businesses across the city, scores of local restaurateurs argue that the city should count tips toward the added amount they would have to pay workers to reach the proposed $13.25 or $15.25 minimum wage. Doing so, they say, would ensure the wage increase helps those who need it most and reduce the financial burden on businesses. "There is just no room for us to be able to afford this increase and stay in business," said Caroline Styne, who owns several restaurants and cafes around Los Angeles. "None of us is refuting the fact that people making $9 an hour cannot get by on that. I'm talking about people that are already making well over that." Restaurant servers may get $9 or $10 an hour in wages but as much as $30 or more hourly when tips are included, restaurant owners have argued at public hearings, citing industry research. They maintain that including tips in calculations of minimum pay would not harm workers. If tips were unusually low one day, they say, the restaurant would have to make up any difference to ensure employees receive the required minimum. "We're willing to pay people to get them to minimum wage," restaurant owner David Dickerson told lawmakers. "We're just asking that tips be part of the equation." Labor activists warn that counting tips toward the citywide minimum wage would violate California law and leave those waiting tables, scrubbing cars or turning down hotel beds more vulnerable to being illegally underpaid. Most tipped workers have low incomes, they say, both inside and outside the restaurant world. Restaurant owners "cherry-pick examples of servers in very high-end restaurants" who get big tips, said Rusty Hicks, head of Los Angeles County Federation of Labor. But the Raise the Wage Campaign estimates that 62% of L.A. workers in tipped occupations earn less than $25,000 annually, including waiters, bartenders, barbers, taxi drivers and hairstylists working both full and part time. "It's not fair for us to be kept down while everything around us increases in price," South Los Angeles resident Troy Taylor told city lawmakers at a recent hearing. Taylor said she earned only $900 in March — including tips — while working part time as a server and cashier at concession stands for sports and concert venues. She said her wages typically hover around $12 an hour. At the Ice Cream Lab in Little Tokyo, 22-year-old Erick Plazo said he averages a few dollars in tips hourly for serving up cups of salted pretzel-and-caramel or Thai tea-flavored ice cream prepared with liquid nitrogen. He also works a second job at a coffee shop to pay rent and buy textbooks for his classes at Cal State Northridge. If his employers could count his tips as part of his pay, Plazo said, "it feels like it kind of defeats the purpose of a tip." The question of how to handle tips has posed a dilemma for Los Angeles lawmakers, who say their intent is to pull Angelenos out of poverty. Beacon Economics, hired to analyze the wage boost for the Los Angeles Area Chamber of Commerce, estimated that nearly a fifth of Los Angeles County workers earning less than $13.25 an hour do jobs that usually involve tips. California law prohibits employers from counting tips against the wages that workers are owed. 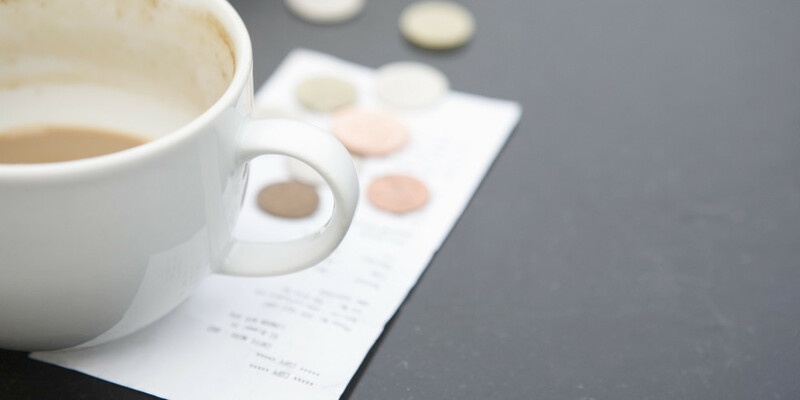 The California Supreme Court has previously interpreted those state rules to prohibit setting a lower, alternative minimum wage for tipped workers. But as Los Angeles considers upping hourly pay to at least $13.25 citywide within a few years, some restaurant owners are pressing city leaders to find a way to count tips for their industry — one that economists see as especially sensitive to wage increases. Restaurateur George Abou-Daoud said tips already "act, talk and walk like a wage" because employers must pay taxes on them, among other costs. For instance, workers are supposed to report the amount of tips they receive so employers can include them when calculating the Social Security and Medicare taxes they pay. Abou-Daoud said the restaurant owners' proposal to count tips is meant to apply only to their industry. If it's not approved in some form, he warned, "you will lose a lot of restaurants in Los Angeles. And a lot of employees are going to lose their jobs." State legislation to loosen the rules on counting tips toward pay requirements was sponsored by the California Restaurant Assn. and introduced by Assemblyman Tom Daly (D-Anaheim). Mayor Eric Garcetti said he backed that bill, telling reporters recently, "For folks from one particular industry who are already earning much more than the minimum wage, for them to get two to three bucks more … doesn't seem logical." But last week, Daly signaled he wasn't pursuing the idea, canceling an upcoming hearing on the bill. The restaurant association said there was "insufficient legislative support for the bill." Timothy McOsker, an attorney representing local restaurants concerned about the rules, maintains that Los Angeles could nonetheless legally adjust its rules for tipped workers without violating the state law, which he said "was not adopted with municipal wage ordinances in mind." Labor activists and their attorneys say that it is illegal and that there are good reasons California law bars any such move. Counting tips in wage requirements would make it harder to catch employers shortchanging workers, they say. Such "wage theft" can include paying less than minimum wage, denying workers required breaks and illegally deducting workplace costs such as uniforms from paychecks. Rosemarie Molina, a lead organizer with the Raise the Wage Campaign, argued that when tips are down, businesses could neglect to put in the money to ensure workers reach the proposed $13.25 or $15.25 an hour — resulting in a kind of "subminimum wage." The National Employment Law Project has pushed to change long-standing rules in other states to count tips toward required pay, arguing that in New York, for example, the rules' complexity has resulted in "significant levels" of worker underpayment. A White House report released last year raised similar concerns, saying it was "difficult to enforce" rules requiring workers to be compensated if their tips fell short. "We have millions and millions of dollars in claims showing employers should not be given the benefit of the doubt," Molina said. One such claim was filed by Koreatown resident Ara Kim, a former waitress who said it took years for her to get paid more than $3,500 in wages and damages that the Flying Pig restaurant and food truck was ultimately ordered to pay her. The state labor commissioner found that she was owed money for what Kim described as an unpaid "training period" and for meal breaks she was denied. Other co-workers who won their claims in that case have yet to be paid, according to state documents. At a recent hearing, Kim told lawmakers that counting tips toward a new minimum wage "will create a double standard when it's hard enough as it is to enforce." Flying Pig owner Joe Kim could not be reached for comment. Abou-Daoud and other restaurant owners contend that counting tips toward the wage requirements would not exacerbate the problem of wage theft, since employers are already supposed to track tips for tax purposes. In a recent letter to fellow council members, Bob Blumenfield, Mitch O'Farrell and Felipe Fuentes said they wanted to adjust the wage rules for tipped workers. But Blumenfield said city lawyers warned during earlier discussions of hiking wages for hotel workers that it could be "very challenging legally" to do so. Other council members say they aren't sure how the city could alter the rules for tipped workers, some of whom may be faring well, without hurting others who are struggling. "We're not trying to lift someone from $40 an hour to $45," Councilman Paul Koretz said. "But it's a hard deal to sort out.… I haven't seen anything yet that makes me comfortable that we have found the sweet spot to handle this without doing harm." Do long term benefits outweigh the added costs of high turnover in the restaurant business? 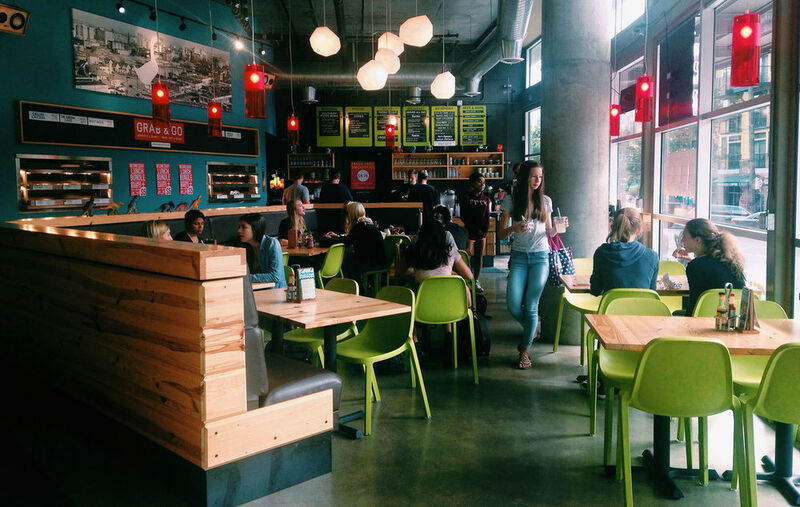 The Laughing Planet Cafe is a fast casual restaurant chain with 14 locations throughout Oregon and Nevada. The company is made up of 280 employees who spend their time at work making burritos, smoothies and salads. And now in an extremely rare move in the restaurant business, all of the employees of the Laughing Planet Cafe will have the benefit of having three months of paid parental leave after they have a baby. The decision was made in late January by Franz Speilvogel, a chief executive at the company, after a discussion with a pregnant store manager who voiced her concerns about not being able to take maternity leave. "She's entering her final trimester, and she talked about the circumstances of being an employee in my company and what she's faced with. I told her, let me think about it and get back to you," Speilvogel said. It wasn't until a few days later when President Obama announced that federal employees would receive six weeks of paid sick leave and that the plan was to push Congress to extend those rights to everyone else, that made him ultimately decide on extending paid parental benefits to employees. Only 6% of service workers in the nation receive any sort of paid family leave according to the U.S. Bureau of Labor Statistics. Full-time workers are offered 12 weeks of unpaid leave under the Federal Family and Medical Act, however, part time workers do not receive this benefit. Laughing Planet Cafe's new policy will cover mothers, fathers and adoptive parents. Employees will be paid their full salary. If they are part time employees, they will still be covered by the same policy, however, they will be paid the average of what they've earned in the past six months. Speilvogel and his executive team examined the costs of paying employees for six weeks of leave, eight weeks of leave before eventually settling on three months. By reviewing the types of people who are employed by Laughing Planet, he realized that not many of them had children. He admitted that working in the service industry and raising a family is a challenging feat due to the typical work schedule. According to Speilvogel, it costs approximately $5,000 in wages and time to train a new employee. He did the math. If 10 people were out on parental leave simultaneously, he could easily have other employees temporarily cover their duties while the employees on leave would be paid for 12 weeks and spend less than the $50,000 it would cost to hire replacements. An added benefit of providing this type of coverage to employees is their job satisfaction. Speilvogel believes that having parental leave in place will lead to healthier parents and children. He also believes that employees will be less likely to leave the company because of this offering. It appears he may be right; a 2011 study of California's paid-leave law found that when low-wage workers were given access to paid leave, 83% returned to the same company compared to 74% who did not have paid leave. What are your thoughts? Should more restaurant employers offer paid leave? Would having paid leave help alleviate some of the pressures associated with parenting and raising a family? Would having benefits like this make you more likely to stay at one company? Let us know in the comment box below.